Digital rights management is all about controlling access and use of a file. Digital rights management software can restrict or stop people from copying, installing, viewing or duplicating something without permission. Publishers and copyright holders sometimes apply DRM to e-books. This can mean that you need special software in order to access or use your file. 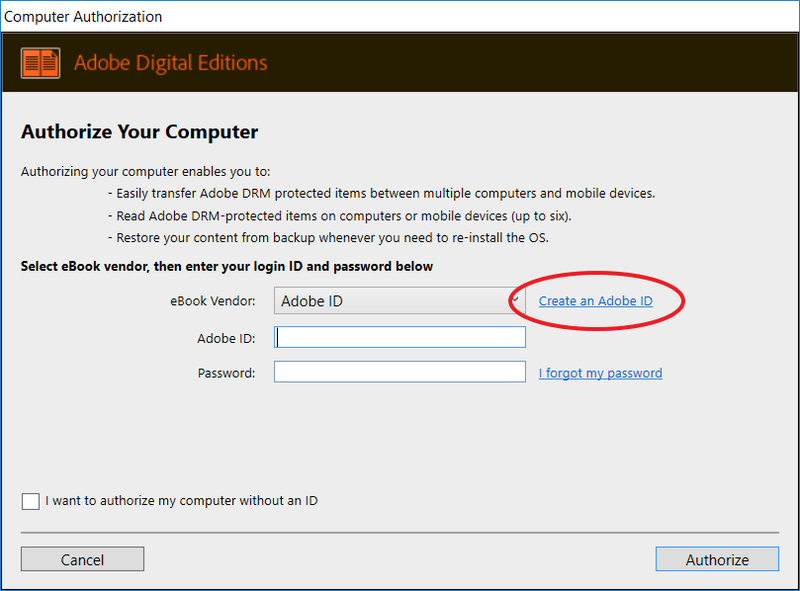 The most common form of DRM protection uses Adobe Digital Editions, and this may require you to have Adobe Digital Editions and an Adobe ID in order to download and read an e-book. If you need help getting an e-book that uses Adobe Digital Editions to work, you can look at the section on Adobe Digital Editions or you can also Ask a Librarian. It's useful to know that some publishers have their own custom DRM built into their websites, so that while you might not see it when you access an e-book, it’s still there, but happily you don’t have to do anything extra to access the e-book. McGill Library has both e-books with, and without DRM. Not all devices support Adobe Digital Editions. You can verify if your device is supported by checking the following list on Adobe’s website: Devices compatible with Adobe Digital Editions. Adobe Digital Editions does collect information on the ebooks you use in the program, and it does send the information about what you read back to Adobe. If you would rather this not occur, you will need to use e-books that do not require ADE. For more information on this, please see the Adobe Statement on Privacy and ADE. 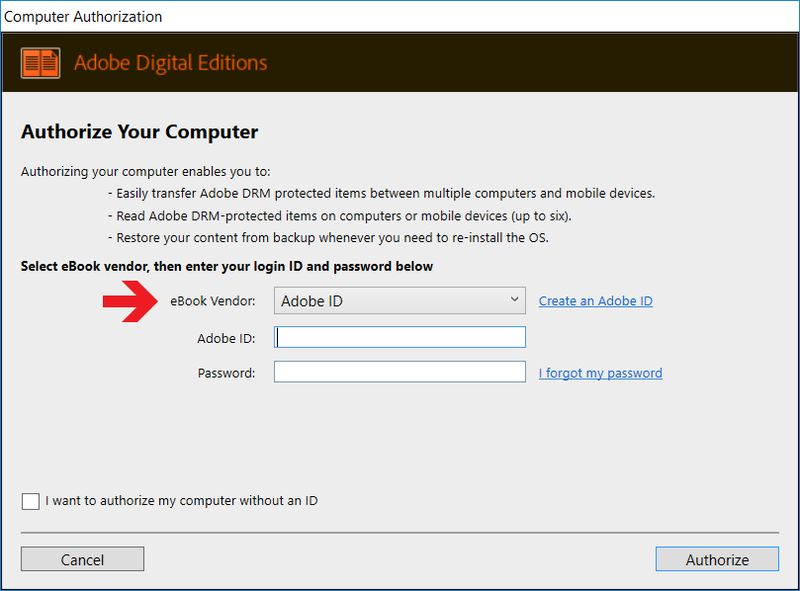 If you already have installed Adobe Digital editions, you can skip to step 3. Open the file you have downloaded. It will prompt you to agree to an licence agreement before you install it. It may ask you if you want to download other software, but there is always a small checkbox that you can uncheck if you do not want to do so. Once it has installed, you may need to close the installer, and ADE should open automatically. If not, it should be in your start menu. Authorizing your device on Abode Digital Editions allows you to later transfer the e-book to another authorized device, like an e-reader. For transferring to work, you need to use the same Abode ID for authorizing both devices before you have downloaded the file. If you only read ebooks on one device and you never intend to transfer the file, you still have to authorize your device, but you won’t need an Adobe ID. For more information on this, please see the Adobe Blog Post on Anonymous Activation. More Help: If you need more help regarding authorizing your computer, please see Adobe’s Help page on Authorization. You can get an Adobe I.D. through the Adobe Digital Editions program. Open the program, and click on “help”, which is located on the top bar. Then, click on “Authorize Computer”. Open ADE and click “Help”. 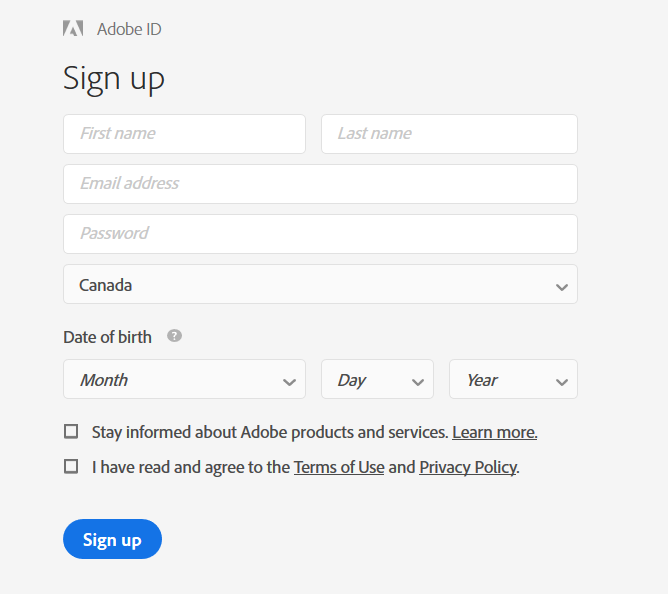 Put in the same information you used to create your Adobe ID. Leave “ebook vendor” as Adobe ID, or choose that option if it is different. Click “Authorize” on the bottom right to complete the process. Generally, smartphones can open e-books with Adobe Digital Editions by installing apps. You will still need to have an Adobe ID (see step 3, above). More information on apps at the library can be found on the Mobile Apps Guide.